5.11. ghc-mod and haskell-mode commands overlap. How do I know which command belongs to what? 5.12. Some commands start with ghc- and some with haskell-. What does that mean? This layer adds support for the Haskell language. auto-completion with one of selected backends (intero, ghci or ghc-mod). To use this configuration layer, add it to your ~/.spacemacs. You will need to add haskell to the existing dotspacemacs-configuration-layers list in this file. First of all make sure that your $PATH contains the installation path for Haskell tools like ghc, ghci etc. It depends on how you have installed ghc, but you can always check it by running which ghc in your terminal. Stack users should add only the installation path of stack itself. Usually it's ~/.local/bin. Then make sure that your $PATH contains the installation path for cabal packages. If you are using cabal it should be ~/.cabal/bin or ~/Library/Haskell/bin (for 'Haskell for Mac' users). If you are using stack then it should be ~/.local/bin. For information about setting up $PATH, check out the corresponding section in the FAQ (SPC h SPC $PATH RET). This layer provides several completion backends - intero, ghci and ghc-mod. By default ghci (company-ghci) is used as it requires no dependencies and works both with stack and pure cabal projects. In order to manually set completion backend set value of haskell-completion-backend. Note that in order to enable completion you have to enable auto-completion layer as well. company-ghci communicates directly with ghci in order to provide completion. In order to use it you have to call haskell-process-load-or-reload (SPC s b). Intero works only for stack users. You can manually install intero executable by calling stack install intero, but this step is optional as Intero installs itself. ghc-mod enhances haskell-mode with for example code completion, templates, case-splitting and much more. In order to use it you need to install the executable with cabal install ghc-mod (or stack equivalent). Stack users also should make sure that dist/setup-config doesn't exist in the project root. As it will confuse ghc-mod. For more troubleshooting, checkout this document. Also note that ghc-mod works only with GHC version that was used to build ghc-mod. You can check which version was used by calling ghc-mod --version. The Haskell layer supports some extra features that can be enabled through layer variables. Currently there is no support for structured-haskell-mode, since it doesn't play very well with non-emacs editing style (structured-haskell-mode/#81). Emacs editing style users might easily enable it by adding structured-haskell-mode to list of dotspacemacs-additional-packages in your .spacemacs file. For more installation instructions, please refer to the official documentation at structured-haskell-mode page. In case you are non-emacs editing style user and still want to use structured-haskell-mode - use it at your own risk. Any contributions that will help to solve issues with structured-haskell-mode are warmly welcome! All Haskell specific bindings are prefixed with the major-mode leader SPC m.
This commands are available in a cabal file. Only some of the HLint suggestions can be applied. To apply the intero suggestions, press `C-c C-c` when the window is open, which is also shown in the window that appears. These commands are only available when ghc-mod is enabled. SPC m m t inserts a template. What this means is that in the beginning of a buffer, module Foo where is inserted. On a function without signature, the inferred type is inserted. On a symbol foo without definition, foo = undefined is inserted or a proper module is imported. SPC m m u inserts a hole in this case. On a variable, the case is split. When checking with hlint, original code is replaced with hlint's suggestion if possible. As all these components can be active at the same time, it can be tricky to know which component is displaying which message, especially when they disagree or one is not working. Only flycheck errors (ghc and hlint) are displayed in the error list and can be navigated using the standard spacemacs key bindings (under SPC e) even though errors from other modes might highlight the actual buffer. This is the standard spacemacs way to do syntax checking and the most elaborate. You need the syntax-checking layer to enable this. Please the documentation for that layer on how to interact with flycheck. 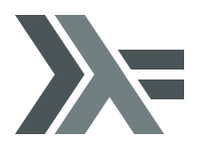 Flycheck has different Haskell checkers: haskell-ghc, haskell-stack-ghc and haskell-hlint. Normally it can automatically detect the best one to use, but if it doesn't work, you can change it using SPC e s.
HLint is a linter for Haskell. It doesn't detect errors (as long as it can parse the file) but bad coding style and code smell. The HLint checker is called after the flycheck GHC checker. Ghc-mod, when enabled, also does syntax checking. It doesn't highlight errors but instead displays an exclamation point in the fringe. You can navigate between errors using ghc-goto-next-error (M-n) and ghc-goto-prev-error (M-p). Finally, interactive haskell-mode (SPC m s b) also displays errors. These errors can be navigated from the interactive buffer (by clicking on the error) or using haskell-goto-next-error (M-n) and haskell-goto-prev-error (M-p). An alternative to syntax checking is to build your project using flymake-compile. It doesn't highlight error in the buffer but is more reliable. The error navigation is similar to interactive haskell-mode. Flycheck and ghc-mod can fail silently for miscellaneous reasons. See the 5 for troubleshooting. It will make cursor stay at the right place in the REPL buffer when you enter normal state. Which in most cases helps you to avoid the problem with 'stuck' REPL. Make sure that dist directory doesn't exist in your project root. So if it exists, just remove it and try again. First of all - make sure that the version of ghc matches the version of ghc that was used to build ghc-mod. To get the latter call ghc-mod --version in terminal. If they don't match you have to rebuild ghc-mod. Stack provides ability to use different ghc versions across different projects. In case you are using this feature you have to rebuild ghc-mod quite often. If you use ghc-mod only for completion and don't want to rebuild ghc-mod every time you switch project you'd better disable ghc-mod support, so company-ghci will be used for completion. The second thing to do if it's still not working - call ghc-mod debug in the root of project you are currently working on. Make sure that it shows no errors. If there are errors you can't solve - it's better to report them upstream. This is the intended behavior in haskell-indentation-mode. If you want to reset indentation when pressing return after an empty line, add the following snippet into your dotspacemacs/user-config function. The HLint checker is called after normal flycheck checker even if the checker fails. Check the 5.8 section. The error list is only set by flycheck. You are probably seeing errors highlighted by either ghc-mode or haskell-mode. Check the 5.8 section. You can check what is wrong with flycheck with the flycheck-compile command. This will show you the exact command line used and its output. If you are using stack, check the 5.9 section. The path to the build directory containing some generated files is normally under .stack-work/install/<os>/Cabal-<version>/build. However, the version of the cabal library used by stack to generate the directory name is not the version of the cabal library installed by stack, but the version of cabal associated to the GHC version. This error can happen after upgrading cabal or cabal-install. To check if this is the problem, compare the path name of the build path used by flycheck using flycheck-compile and compare it to to the actual path in the .stack-work directory. If they are different you need to reinstall ghc using the command stack setup --upgrade-cabal. Flycheck launches the GHC command not from the project root directory but from the the directory of the file being checked. This is normally not a problem as all the paths are set properly, however it could be a problem if some template Haskell functions use relative paths (e.g. in Yesod scaffolded projects). Make sure you set flycheck-haskell-stack-ghc-executable to this script. Some (most of) the haskell-mode commands only works when haskell-mode is in interactive mode, i.e. as a interactive session associated to it. Load it using SPC m s b. 5.11 ghc-mod and haskell-mode commands overlap. How do I know which command belongs to what? ghc-mod commands are prefixed with ghc-, haskell-mode ones are prefixed with haskell-. 5.12 Some commands start with ghc- and some with haskell-. What does that mean? Commands starting with ghc- are ghc-mod commands. Commands starting with haskell- are haskell-mode commands.